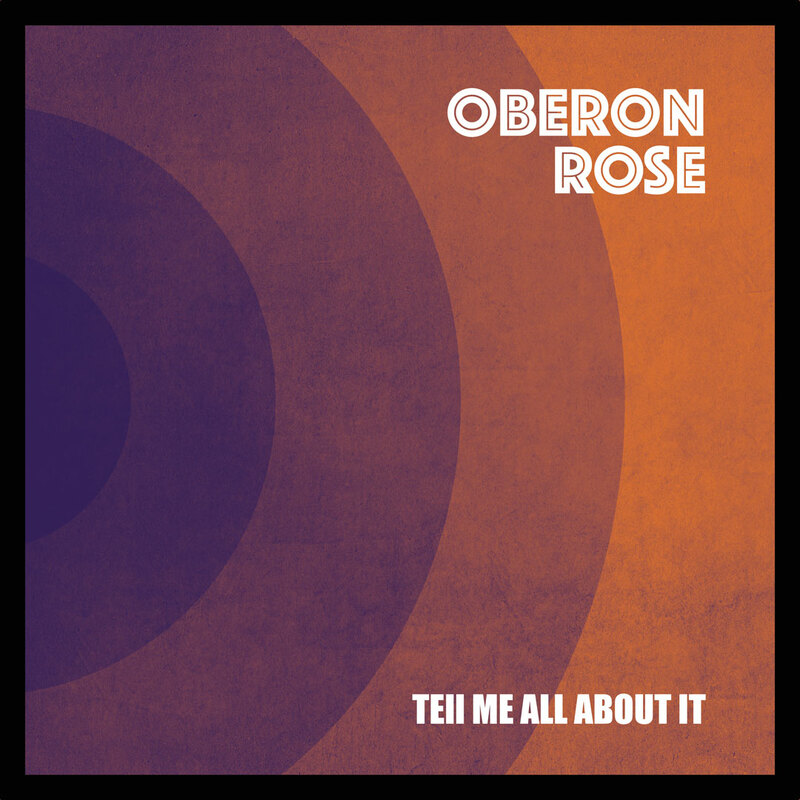 Hailing from New England, Oberon Rose just dropped a new album, called Tell Me All About It. Tommy Oberon and Rebecca Rose write the songs. Tommy handles the music, while Rebecca writes the lyrics. The band’s sound definitely emits strong whiffs of retro-British Invasion. Oberon Rose performs live as a trio, featuring Tommy on guitar and vocals; Chris Listorti on bass and keyboards; and Mike Keyes on drums. Encompassing nine tracks, the album emanates powerful echoes of The Beatles and The Byrds, a swirling mix of jangling guitars, inflected vocals, and pleasant melodies. The title track opens the album, presenting a sprinkle of layered guitars, crisp drums and psychedelic waves of sound that lead into a progressive rock flow of colors. “No Stranger” channels Tom Petty with its upbeat tempo, nasal vocals and jangly melody. The song exudes bright, tight energy that’s contagious. “Life In A Box” rides a gorgeous pop/rock melody trickling with smart, persuasive harmonics building slowly to the expansive and beautiful chorus. Other highlights on the album include “A Place In The Sun,” a delightful pop-flavored tune riding a stuttering, bouncing beat flowing beneath scintillating guitars and smooth, mellow vocal harmonies. “Drawn And Quartered” offers compact jangling guitars transitioning to darker colors on the chorus, as well as a galloping rhythm heaving with radiant energy. “Twice Bermuda” opens with guitars and bass, and then flows into a dreamy but potent pop/rock tune. The melody advances in harmonic steps, prior to taking on a horizontal stream of flavors, along with spilling vocal harmonies. Tell Me All About It is grand retro pop/rock replete with nostalgic aromas of Beatlemania and psychedelic progressive rock of the ‘60s and ‘70s. The melodies shimmer with coruscating energy, while the vocals exude nuanced textures and pastel hues. Light and ebullient describes the mood of the music, making it wonderfully cathartic. Follow Oberon Rose on their website.